Tagged with ATEED, Auckland, Auckland Tourism, Education New Zealand, English NZ, New Zealand, Study Auckland. Auckland, New Zealand, has unveiled an ambitious plan to attract more international students by 2025, elevating its status as New Zealand’s number-one study destination. The plan dovetails with New Zealand’s broader ambitions to double education exports to NZ$5billion in the same timeframe. 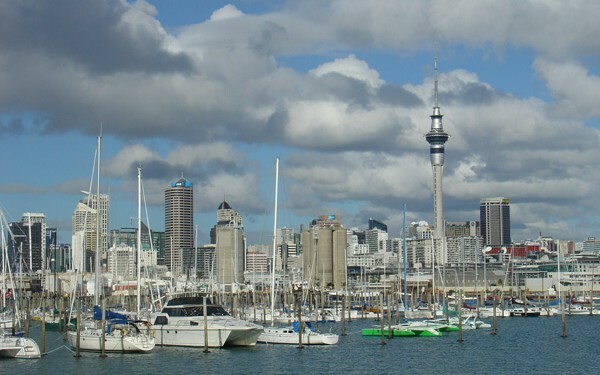 Auckland is also keen to take a cross-sectoral partnership approach in building the city’s appeal. “It is an exciting time for those involved in international education,” said Lindsay Spedding, chair of a cross-sector group that will lead the plan. Backed by Study Auckland – part of the Auckland Tourism, Events and Economic Development (ATEED) – the strategy considers marketing; improving the experience of students in the city; and harnessing trade opportunities through alumni relationships among other initiatives. Study Auckland said it had “widely” consulted with central government, Auckland Council, other educational enterprises such as Education New Zealand (with which it will run joint initiatives) and institutions. Spedding’s leadership group, which comprises one representative from each education sector along with a representative from Auckland Council and ATEED, also reflects the team spirit. “The first goal in developing this strategy was to do it in partnership with the sector,” said Spedding. Darren Conway, chair of ELT industry body English New Zealand, welcomed the scheme, saying that while Auckland was an attractive city that consistently rated well in quality of life and affordability surveys, there were infrastructure issues – such as transport and broadband capacity – “that students believe we could do better on”. Auckland is home to approximately 57,000 international students, representing nearly 59 per cent of New Zealand’s total. Students from 138 countries are educated in the city each year, the vast majority Chinese. Education New Zealand has announced that it will overhaul its promotional strategy for international education, with details due to be released by early November.